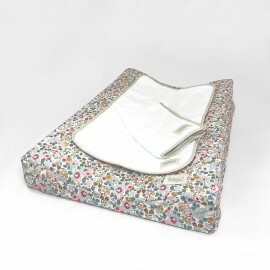 Changing pad cover adapted to our foam changing mat available in this website. 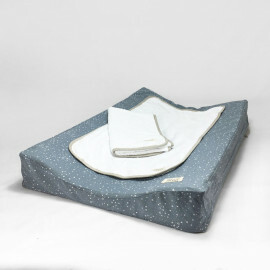 The set includes: MAT COVER. Removable cover with zipper. 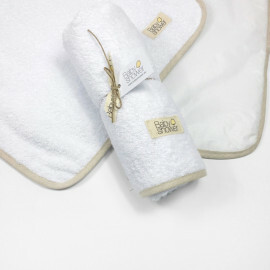 2 WHITE TERRY CLOTH PLASTIC COATED TOWELS with beige linen trimming. 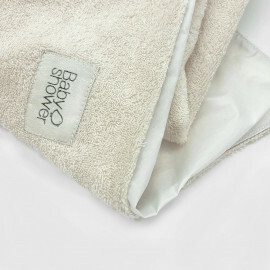 PRODUCT CARE: The cover and the towels can be machine washed at 30C. Do not iron the plastic coated side of the towel. Plastic coated mat. MEASURES: 72 x 44 x 10 cm. 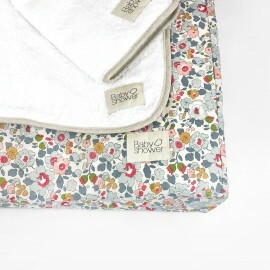 Set of 2 towels for our changing mat. Made in 100% white terry cotton and a plastic coated fabric in the other side. 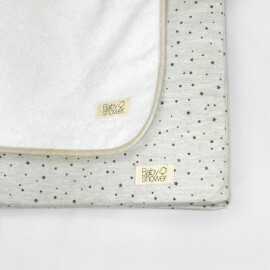 Changing pad cover adapted to Bebe jou's foam changing mat. 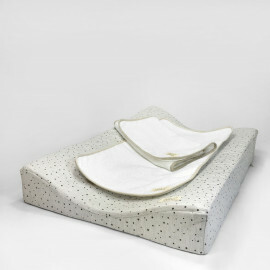 THIS KIT INCLUDES: • WHITE BEBÉ JOU CHANGING PAD. Plastic coated. SIZE 72 x 44 cm. 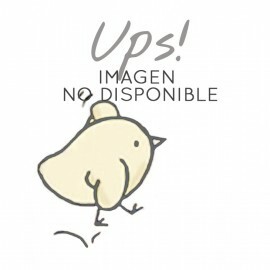 • COVER. Removable cover with zipper. 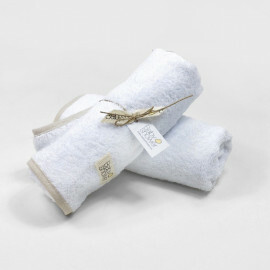 2 WHITE TERRY CLOTH PLASTIC COATED TOWELS with beige linen trimming. 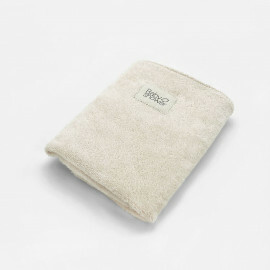 Large plastified towel made in 100% organic cotton terry. 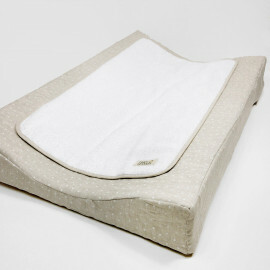 Use it as a nomad changing pad.